The glittering metropolis of Jeddah, the second biggest city in Saudi Arabia, is set to receive a dazzling and head-dizzying make-over. Kingdom City, a new development in the city’s north, will become what the name envisions - a sparkling resort-style destination suited to Arabian royalty; an idyllic and strategic precinct located alongside the Red Sea and its ports. 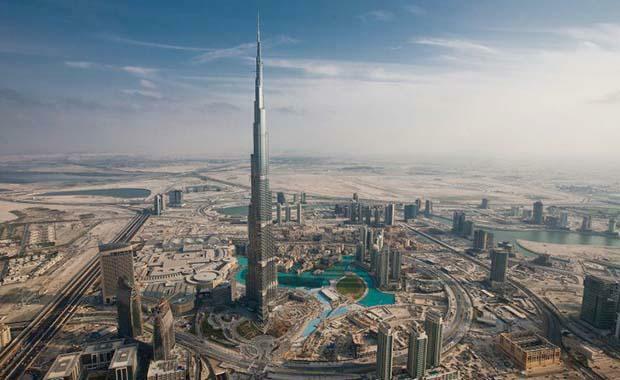 Kingdom Tower – a skyscraper so tall it will measure as the world’s highest once completed. Ultimately, the whole development reflects the region's sometimes outrageous wealth, funded by an in-demand and never-ending river of black gold. It’s an awe-inspiring statement; visionary and kingly in nature - a message of privileged golden grandeur to a world steeped in financial ruin. In regards to the tower, Executive Director of Development and Domestic Investments, Mr. Al Maiman, said, “We intend Kingdom Tower to become both an economic engine and a proud symbol of the Kingdom's economic and cultural stature in the world community." This category is new in every respect: New structures, new materials and designed and tested with new methods. Costing $1.2 billion, it forms the first phase of construction for the Kingdom City. With a total construction area of over 500,000 square meters, the soaring Kingdom Tower will be a mixed-use building featuring a Four Seasons hotel; Four Seasons serviced apartments; first class office space; luxury condominiums and an observatory that will be higher than the world's current highest observation deck. The tower represents a new achievement in the continuum of architectural design. The three-petal footprint design is ideal for residential units, and the tapering wings meld into an aerodynamic shape which reduces structural loading from wind vortex shedding. Kingdom Tower’s overall aesthetic design was inspired by nature and resembles a hardy shoot resistant to the harsh desert surroundings. “The tower evokes a bundle of leaves shooting up from the ground – a burst of new life that heralds more growth around it,” Mr Smith said. Jeddah’s proximity to the Islamic holy city of Mecca was also an influence on design features. The southeast leg of the towers tripedal base is in direct alignment with the Ka’ba in Mecca, Islam’s holiest site. “We envision Kingdom Tower as an iconic new marker of Jeddah’s historic importance as the traditional gateway to the holy city of Mecca,” Mr. Al Maiman said. The tower is expected to be completed by 2018.